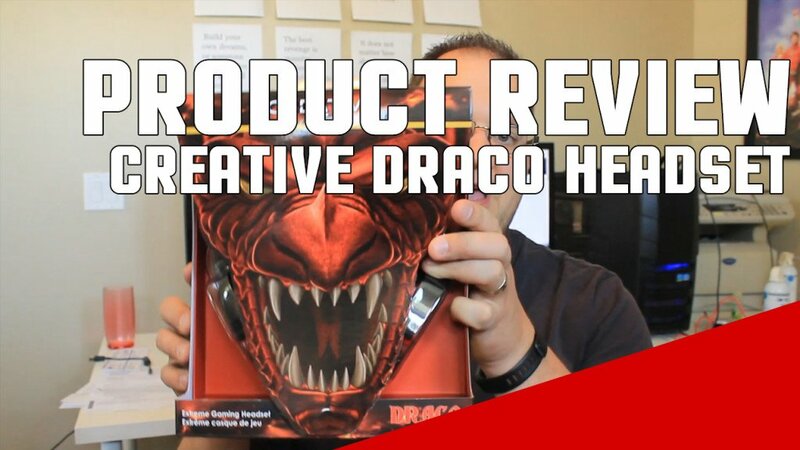 Following up on our review of Sound Blaster’s Inferno gaming headset, we’re reviewing Creative’s new offering in the $50 gaming headset space, the Draco HS880. The Draco HS850 was the previous generation of this model and ultimately had mediocre reviews. With a few changes this time around, Creative is hoping to improve upon the success of the original. I spoke to a Creative representative who said that the main difference between the HS880 and HS850 revolved around improved ID, robustness, and tuning. There are some noticeable differences right away. The headband is now steel which should improve durability greatly. 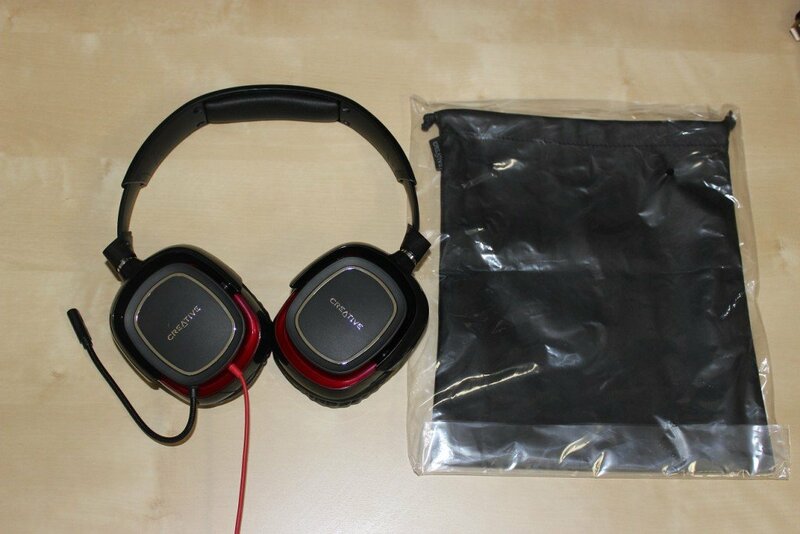 Compared with Sound Blaster’s Inferno headset, the Draco HS880 feels a lot larger. Where the Inferno squeezed my head, the Draco has room to spare. An upgrade from the original, the Draco has a steel headset that angles slightly out. I’d venture to say that this fits normal to even wide heads fairly well. That alone should be appealing to some. In addition, the Draco uses a plush leatherette pad rather than a cloth one. If you’re looking for a comparison, the ear pads remind me a lot of Logitech’s G930. One of the selling points of the Draco is its removable microphone as few headsets in the $50 space offer this feature. The mic itself is flexible enough to put just about anywhere and has good enough sound for interaction during games. You won’t be using it for your Twitch channel anytime soon, but it does sound good enough and comes with a handy noise canceling condenser. Another nice feature for the Draco is the volume slider which allows you to increase the volume of the headset and mute your microphone. This comes in handy when you’d rather not have to remove it altogether. The Draco HS880 has a pair of 40mm Neodymium drivers capable of good sound for its price. Compared with the previous option, you’ll find an increase in the bass and slightly more details on the high sounds. For those wanting to use this with a DAC I might consider other options. I plugged the Draco HS880 into Creative’s E5 DAC and while the sound was amazing at first, it consistently changed to a tin-like sound you sometimes hear when products are overamplified. I’ll try to get further clarification on this from Creative. Overall, I’m impressed with the comfort and design of the Draco HS880. The sound is on par with many headsets in its price range and with its removable microphone and plush leatherette ear pads it’s a good offering in the $50 space. The band is comfortable and rugged and even fits medium to large-sized heads. Feel free to ask me any questions about it in the discussion area below. 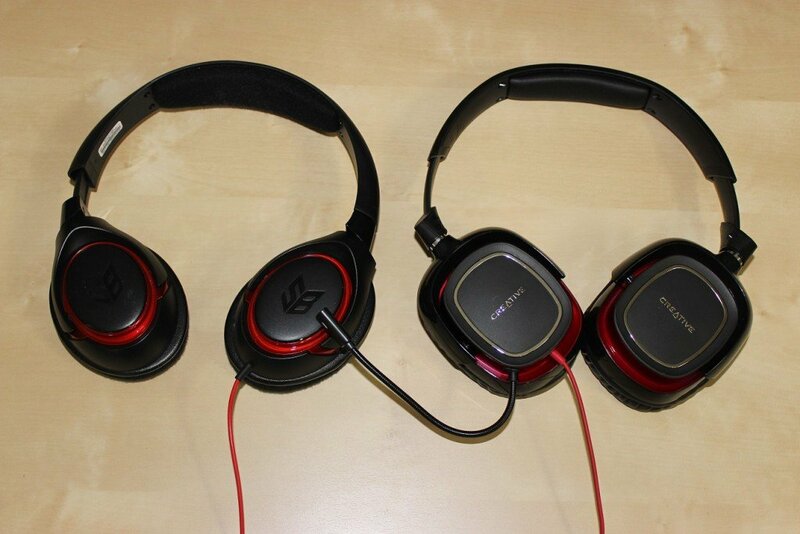 This or the Siberia V2?